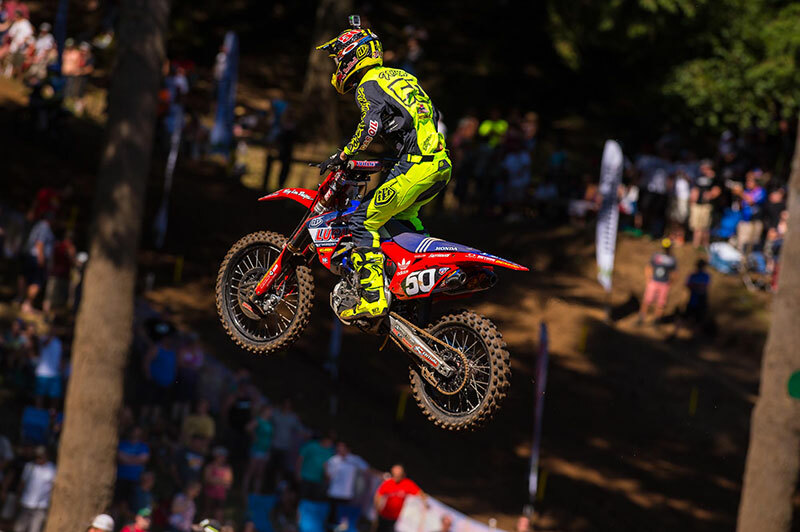 The Lucas Oil Pro Motocross Nationals stopped in Washougal, Washington last Saturday for what is unequivocally the most scenic venue on the series. With a backdrop of majestic fir trees, mountains and the Washougal River, the world's fastest racers went head-to-head for points and cash. 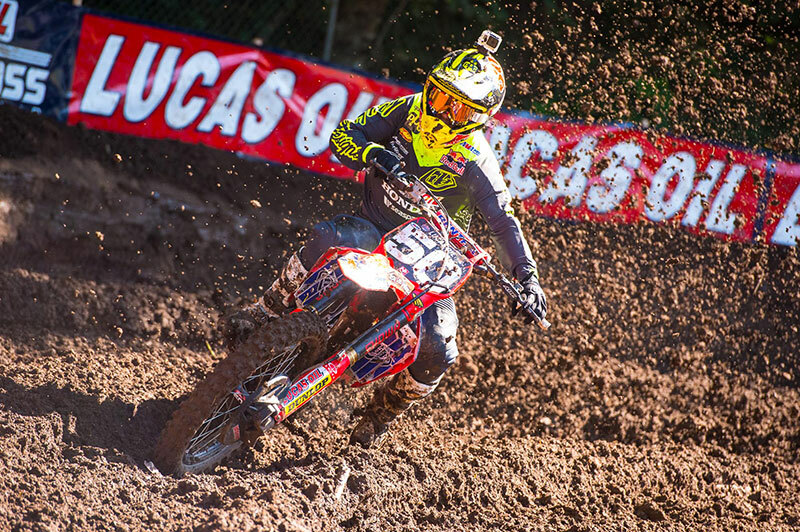 The Troy Lee Designs riders, who were debuting brand new 2015 SE and GP gear, rode waves of good and bad throughout the day but came out with top ten finishes when it was all said and done. 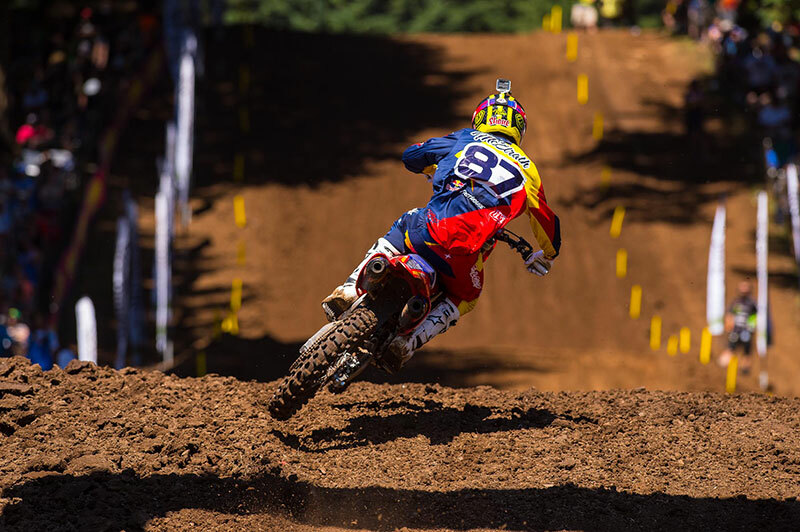 The TLD / MAVTV / Honda team's sole 450 rider, Malcolm Stewart, is still sidelined recuperating from a dehydration issue. That means that for the second week in a row, the 250cc riders would be representing Troy Lee Designs. In the opening moto, Cole Seely was sitting inside the top ten, poised to make a run at the leaders. As Seely dropped down the big hill and entered a tricky left-hand turn, he lost his front end and lost a big group of riders. The setback didn't discourage Cole though and he logged top-five lap times to move his way back into ninth at the end, despite tipping over once again.Jessy Nelson started the moto just outside the top ten and rode a steady, consistent race that put him in eleventh at the end of the moto. Shane McElrath was great off the line all day and rode inside the top ten early only to lose the pace as the race wore on. After returning from injury last weekend, Shane is still playing catch-up with his fitness and race craft. Shane drifted to fifteenth by the end of moto one. 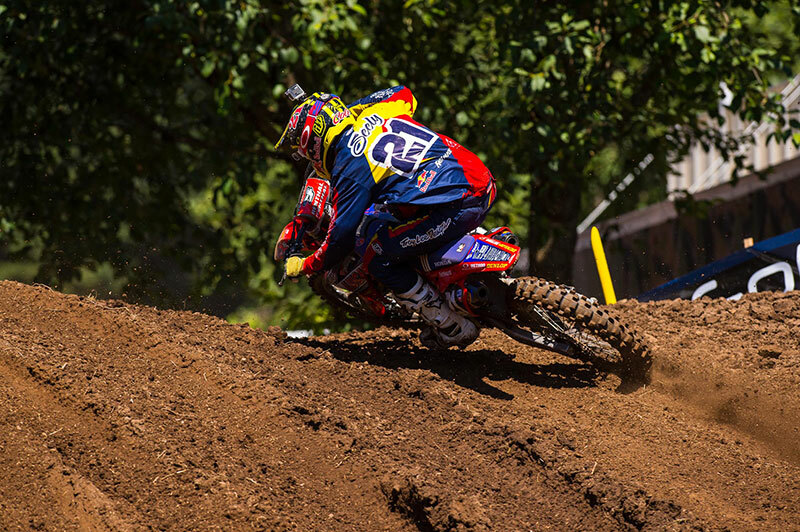 The second moto blasted off and Seely crossed the finish line in twelfth spot. Once again, unfortunately, Cole hit the deck and let a large group of riders go by. His work was cut out for him at that point and he pushed the entire race to find ninth again at the finish for ninth overall on the day. Jessy was hoping to find some of the early season magic he has shown but he didn't get the best of starts and would find himself in a battle the entire race for tenth spot. Nelson would hold on to the position and score tenth overall with 11-10 scores. Shane again rocketed off the line and ran inside the top ten early on. Running the leaders speed isn't a problem for Shane right now; running that pace for 35 minutes plus two laps is another story. 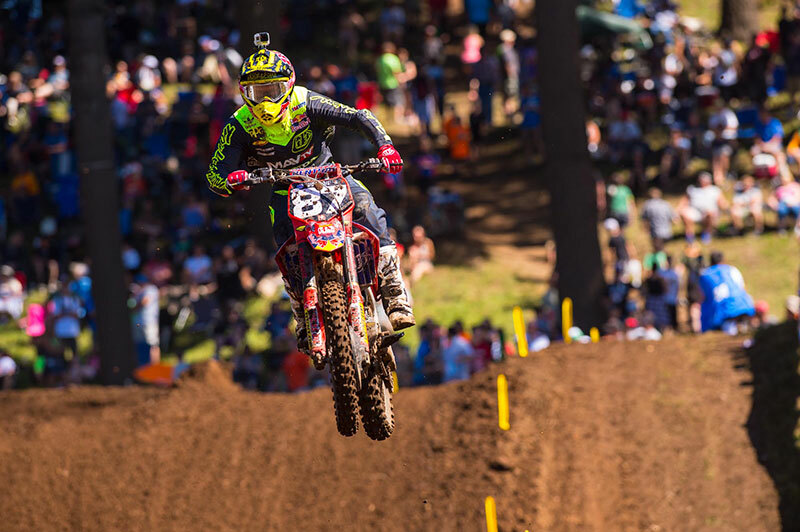 McElrath fought valiantly but slid back once again late in the moto to thirteenth spot for fourteenth overall. With a weekend off coming up, the team will catch their breath, regroup, and make a sprint to the finish in the last three rounds. Unadilla, Indiana and Utah await the riders and for the Troy Lee Designs camp, there is nothing to lose and everything to gain. Look for all of the riders to come out swinging when the series returns to New York in two weeks. 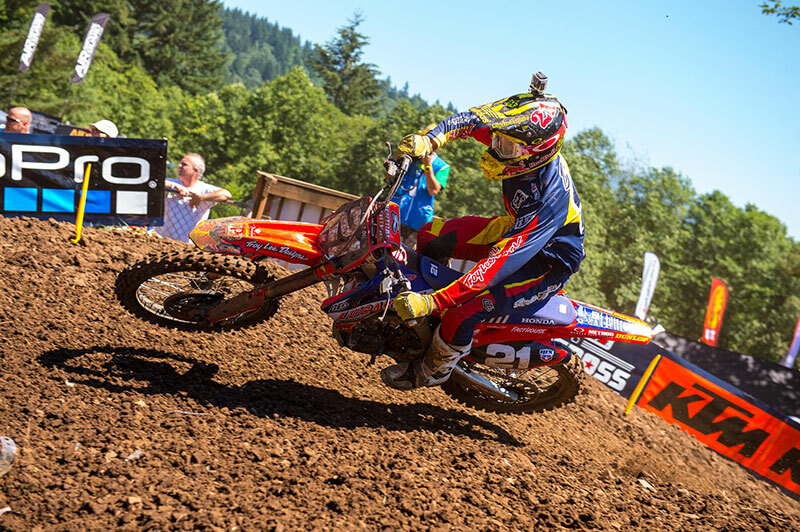 The TLD riders wore the 2015 SE Corse Gray/Yellow gear and 2015 GP Verse Navy/Red gear at Washougal MX. See more of these gear sets and the 2015 Moto Helmets online and at your local TLD retailer.